With a powerful 4.5 joule output, this 110V plug-in energizer comes with a fault finding remote, excellent for mid-size farms. With an output of 4.5 joules, this is the smallest remote compatible 110V plug-in energizer we offer. 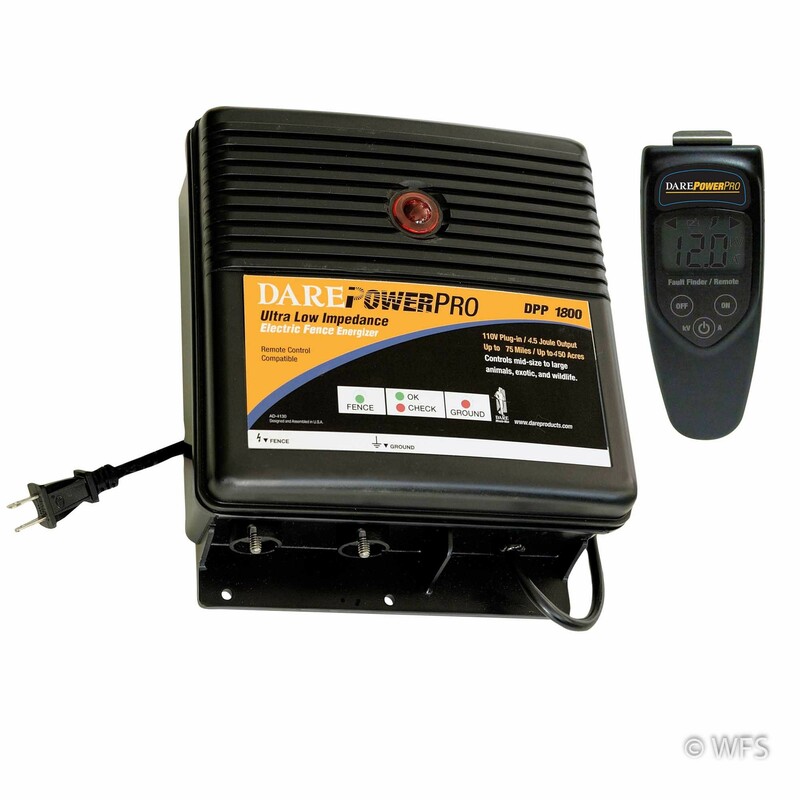 This remote control unit is a good starting energizer for mid-size farms. LED lights on the front indicate the condition of the fence and can check for ground faults. Standard 2-year warranty includes lightning damage. 15 x 13 x 5 "